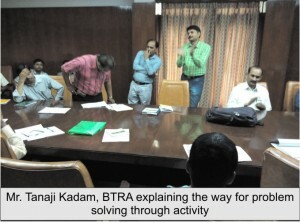 The training programme started on 25th June 2015. 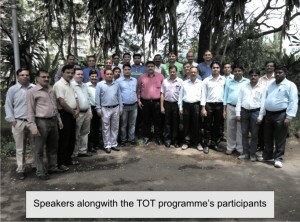 Total 25 participants from the TSC’s affiliated Training Provider/centers attended this 3-days programme. 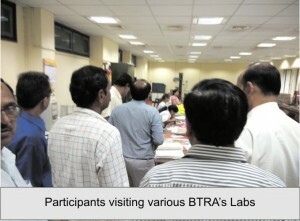 During these three days, topics were covered by Dr. Mohit Knawar, guest speaker and BTRA team consisted of Mr. Tanaji Kadam, Dr. Prasanta Panda, Mr. Malhari Kulkarni and Mr. Vijay Gawde. 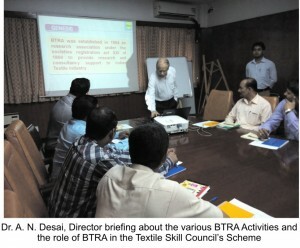 Dr. A. N. Desai, Director, BTRA welcomed the participants and gave briefing about the various BTRA activities and role of BTRA in the Textile Skill Council’s Scheme. 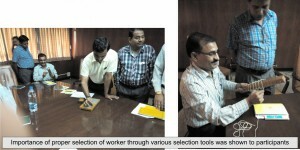 Mr.Tanaji Kadam introduced the PMKVY concept. 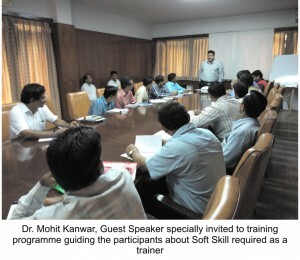 Through various indoor and outdoor activities/games, Dr. Mohit Kanwar enlightened various aspects of soft skill e.g. 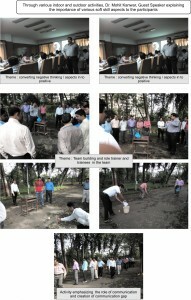 importance of team building and role of individual in team, interpersonal relationship, coordination among team members, creation and effect of communication gap, converting negative aspects into positive, method for creating instant bonding with trainees, etc. All the essential qualities required for becoming good trainer and the systems / step to be followed for conducting effective training for job roles were covered through classroom as well as practical demonstration.